ActiveSustainability, established in 2008 by David Beyer, provides the very best in sustainability management, advisory and consultancy services to support stronger and smarter organisational development and growth. We frequently collaborate with like-minded consultancies that share the passion and commitment to implementation of sustainable solutions. ActiveSustainabilty has an aliance with The Winding Staircase, an organisation devoted to professional development and coaching. Together they have developed the Leadership Development for Sustainable Change program, designed for indivuduals who want to develop or enhance their leadership capabilities to meet sustainability challenges and inspire cultural transformation. David Beyer has extensive experience in and comprehensive knowledge of all aspects of sustainability gained through academic research, policy development and organisational and project development. He has wide-ranging experience gained through contributing to the West Australian State Sustainability Strategy, developing and implementing sustainability programs within organisations, and through engaging in a diverse range of consulting activities. He consistently demonstrates a deep understanding as well as a commitment to excellence and innovation in all facets of sustainable development. He views the processes of reflection, design inquiry and review as critical aspects that contribute to the ultimate measure of the successful outcome of any project he undertakes. David’s work in the development sector has seen him create a broad portfolio of organisation and project activities. He provides practical and sensible understanding of sustainable solutions available to businesses, professionals and community groups. David brings unique expertise in sustainability governance and reporting frameworks (through the Global Reporting Initiative), as well as program management/project development strategies and initiatives. Proficient in group facilitation and community engagement, David designs and facilitates collaborative group processes and workshops to bring awareness and understanding of sustainable solutions for business, professionals and community groups alike. David is also involved in a number of activities that demonstrate his commitment to sustainable action. 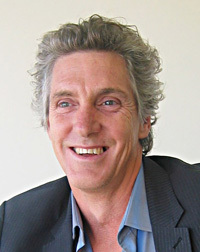 He serves on the Board of Governors for Fairbridge, a major youth charity in Western Australia. Fairbridge’s mission is to create opportunities for young people to believe in life, appreciate their heritage, live harmoniously with the environment and take responsibility for the future. He is past Executive Director of Habitat for Humanity (HfH) Western Australia Inc. HfH is a global, not-for-profit community organization, which builds simple, affordable and sustainable homes in partnership with low income families through industry and community support. David holds a B.Sc. Sustainable Development with Honours 1st Class in Sustainable Building and Construction. Kim brings an extensive background in organisational development, having led corporate change management projects and initiatives in federal government. He has facilitated and conducted strategic corporate and business planning, major program evaluations, developed competency frameworks, identified organisational training and development needs, and designed and facilitated numerous adult action-learning programs with a strong emphasis on leadership development. Kim’s consulting work focuses on supporting organisational leadership, development and transformation with a focus on “leadership for sustainability”. Through a definition of sustainability as “sustainable relationship with Self, Other and the Natural Environment” Kim has a commitment to supporting individuals and organisations who are exploring how to use their own leadership to achieve sustainability. Kim is one of Australia's most experienced dedicated coaches, having commenced work as a full-time coach in 1997, worked with over 250 coaching clients, and has over 2000 hours of coaching experience with local, national and internationally-based clients. He has coached managers and executives of large national and multinational firms, public sector agencies and community sector organisations, with a strong focus on the development of leadership capabilities. Kim's coaching focuses on the development of leadership capabilities with an emphasis on personal awareness, responsibility and results. He is known for his precision and distinctions in language, and a capacity to incisively assess and reframe his clients' language to generate new perspective. Kim holds a MA (Ecological Sustainable Development) and a BA in Sociology.